Eating is quite possibly one of the best parts about travelling. Can I hear an Amen? But heading on an overseas trip with specific eating requirements can really mix things up. As a vegan, the life choice that probably has the most dietary limitations of them all, excitement can turn to anxiety. Will there be anything to eat or will it be a diet of water and air the entire holiday? Well if you are heading to Bali and you don’t venture far from beautiful Canggu, you won’t find it a challenge at all! After spending a month in Bali in January and having just returned from another 10-day holiday in Canggu, I learnt that 1) being vegan in Bali is easy, 2) being vegan in bali is delicious and 3) being vegan in Bali is cheap. All three of which cannot be said for Perth. I had some of the tastiest and most flavoursome vegan eating experiences of my life over there. 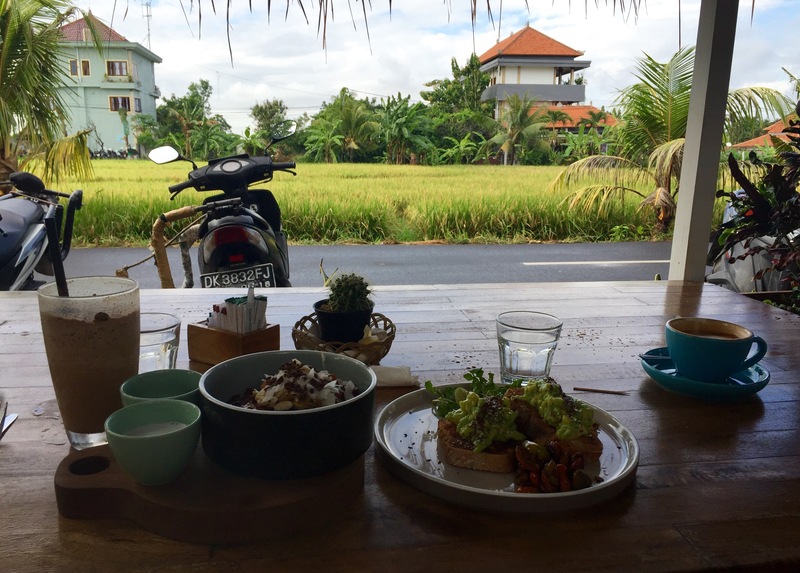 So with all the time spent over there, along with my love of food, I’ve managed to suss out some of the best vegan-friendly cafes and restaurants in Bali. Here are my top picks. Highlight: The crispiest, crunchiest, most delicious sweet potato fries ever! 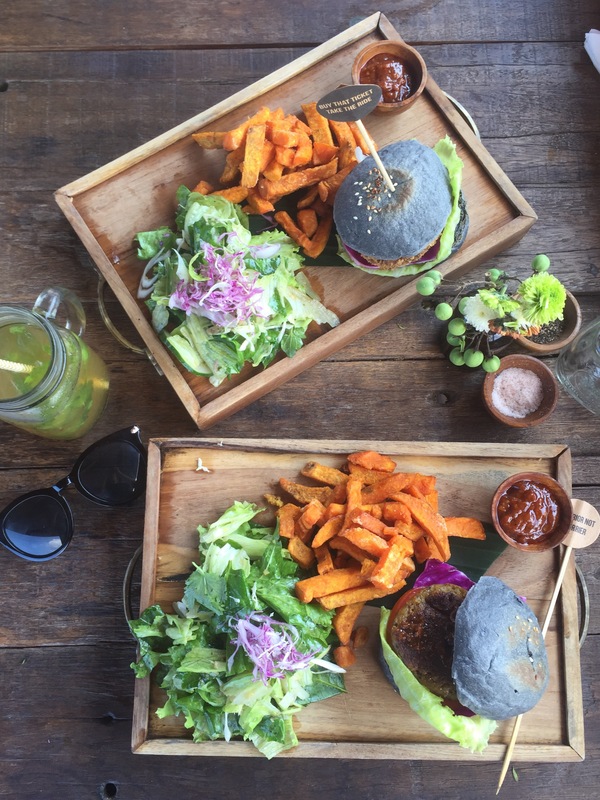 Peloton would have to be the best vegan restaurant in Canggu. Scrap that, the best restaurant in Canggu! Seriously, the food here is amazing! And you can totally trust me on this because I have pretty much tried everything on the menu. Like, I’m pretty sure we were basically on nickname basis with the staff by the end of our trip. Serving 100% vegan meals including salad bowls, tacos, lasagne, smoothies, brownies and more, Peloton can easily woo even the biggest carnivore and probably even convert them to #veganlife too. Everything we tried here (yes we visited that many times) from the ‘tricken’ parmy and Veggie burger to the pancakes and bruschetta toast, burst with flavour! The meals are hearty, filling and served to you with a smile. If you’re feeling like something sweet the iced choc whip, nuts n bolts smoothie and the raw snickers bar come highly recommended. Honestly, this place should be number 1 on your ‘to eat’ list. Just thank me later. Highlight: The Thai Green Curry. If it’s authentic Asian food you feel like; the kind made with the freshest produce, aromatic herbs and fragrant spices, then this is the place for you. This gorgeous all vegetarian and vegan restaurant, which can be easily missed from the road so keep your eyes peeled for the sign, has that cute, cozy, homely feel. Once you’ve placed your order and the waiter has trotted away to the semi-open kitchen, your senses will be immediately filled with the divine smells of fresh herbs and spices being chopped and ground in to curry pastes and sauces. Ain’t nothing but made from scratch here! The food tastes as good as it smells and I can honestly say the Thai green curry is the best I’ve ever tasted. Better than anything I have eaten in Thailand, bursting which rich Asian flavours and yep my mouth is watering just thinking about it! Life is crate at Crate café. Before you even notice the menu of mouth-watering healthy delights written on the concrete walls (no paper menus here), you’ll be welcomed with funky tunes, chilled surfy vibes and friendly greetings from the always-smiling staff. 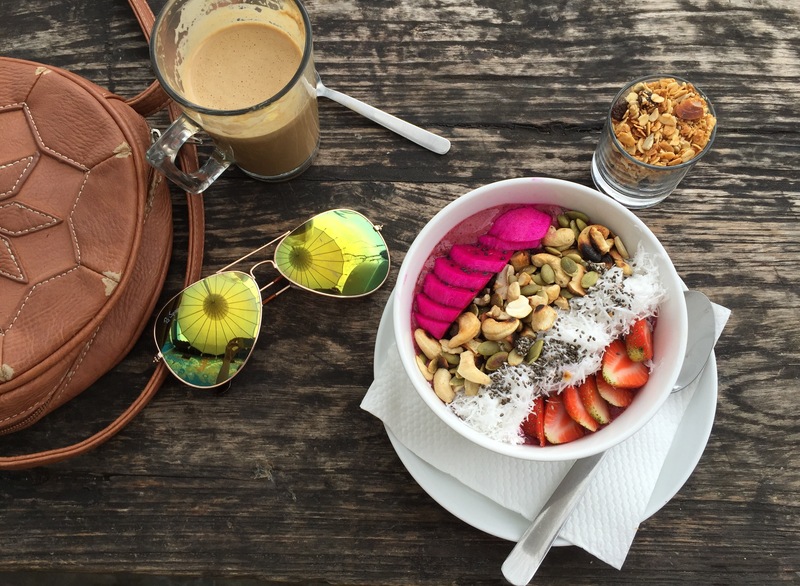 With names like ‘hipster’ and ‘bowlarama’, Crate serves up (in my opinion) the best smoothie bowls in Canggu. It’s not all about smoothie bowls though, there are plenty of savoury breakfast and lunch options on offer and the coffee here is top knotch. It can be a little loud and sometimes crowded in this uber-popular hipster café, but the chattering of happy travellers and surfy locals just adds to the buzzing atmosphere. Plus, any Aussies having Vegemite withdrawals need not fear – Crate offers a dish called Veto, which is a homely combination of Vegemite and avo on toast. Located on a quiet street overlooking lush green rice paddies, this recently opened cafe has the most relaxing vibes. With daybeds to lounge on, peacock chairs to perch your peachy, green tropical gardens and tables shaded by bamboo umbrellas, dining here almost feels like you’re on a holiday from your holiday. There are heaps of vegan options on the menu for breakfast and lunch, delicious smoothies and a cabinet full of raw cakes. Like anywhere you go in Canggu, you can order anything to takeaway, which could come in handy because The Shady Shack can get super busy. Highlight: Owned by Italians, it’s the real deal for authentic Italian food! So you feel like a good carb-load? A big bowl of al dente pasta or a soft doughy pizza? Just a good old Italian feast. But your vegan… well, s**t! That was my first thought when we rocked up here for dinner one night when I was already feeling very hangry. Just as I thought I was going to have to settle for a few pieces of bread or a boring salad, my eyes lit up and the heavens opened after reading two magic words – ‘Vegan Margaretta’ on the menu! And my golly, it was the best damn pizza I have ever eaten. Ever! (And I’ve been to Italy). Most of the vegetarian pizzas can be made vegan just by asking for vegan mozzarella. I recommend coming here for dinner, when the lights are dim, candles are burning and it feels oh so romantic. Highlight: Healthy, fresh, nutritious meals for veggos, vegans and paleoistas (I just made that up). Any place that features an all day breakfast menu gets a solid tick of approval. Plus, it’s name can only mean good things, because seriously, who doesn’t love avocado? It’s the little touches that give this humble health-hub its charm. Recycled vodka bottles created into drinking glasses and candleholders, comfy cushions on the boho-chic chairs, glass straws and fresh flowers on every table. Open for breakfast, lunch and dinner, avocado’s extensive menu features vegetarian and vegan-friendly options plus plenty of choices for the paleo dieters. From protein shakes, smoothie bowls and fresh juices to lentil burgers, salads, curries and sugarless desserts, there is something for everyone, especially the health-conscious! Highlight: Healthy smoothies galore with gram-worthy presentation for the ultimate #foodporn #smoothiebowl snap. Serving up an abundance of fruity smoothie creations completed with your choice of toppings in cute coconut bowls, these smoothie bowls are almost too pretty to eat. Now with two locations in Canggu, Nalu bowls is the perfect place to visit for a refreshing treat to cool you down in the Balinese heat. Design your own bowl from a choice of 6 different smoothie options, including the popular Acai bowl, and select as many or as few of the 15 topping options you desire. 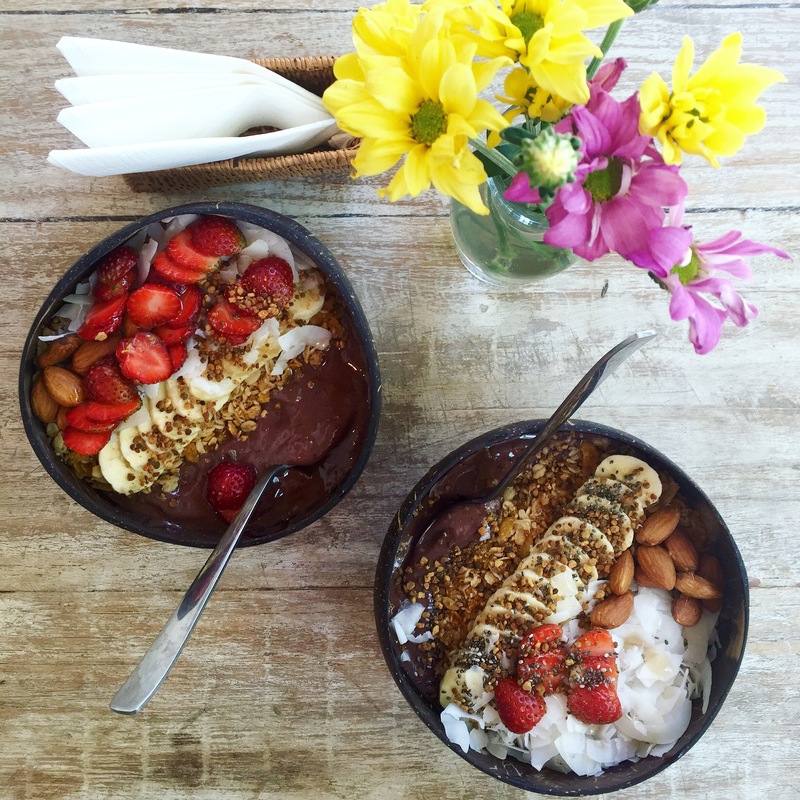 You can also find Nalu Bowls smoothie bowl shacks in Seminyak and Uluwatu. Not staying in canggu? Here are some other restaurants in surrounding areas that also impressed me with their delicious vegan options. In all honesty, being vegan in Bali was not a problem at all. Most places offer a huge range of vegetarian dishes as it is and it seems Bali is one step ahead when it comes to catering for Vegan travellers. 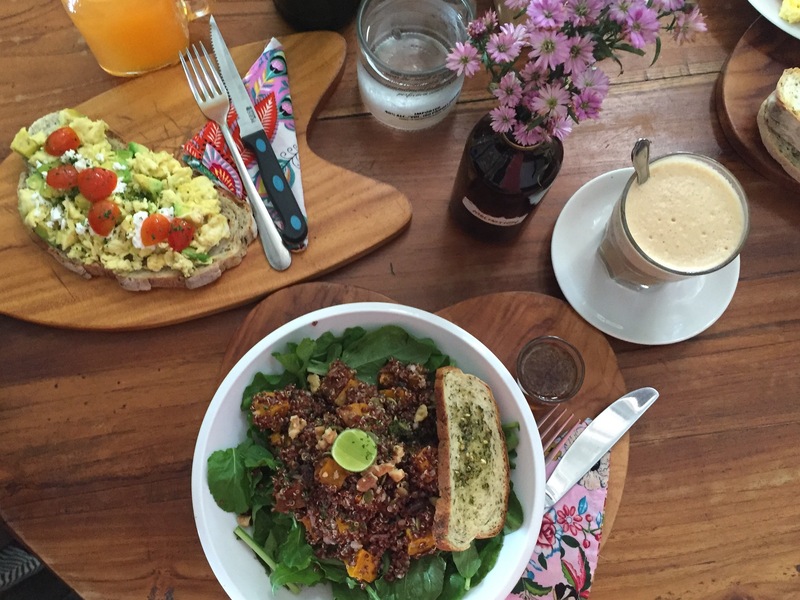 It’s actually probably harder to be a vegan in Perth than it is in Canggu. Just another reason why I belong there.